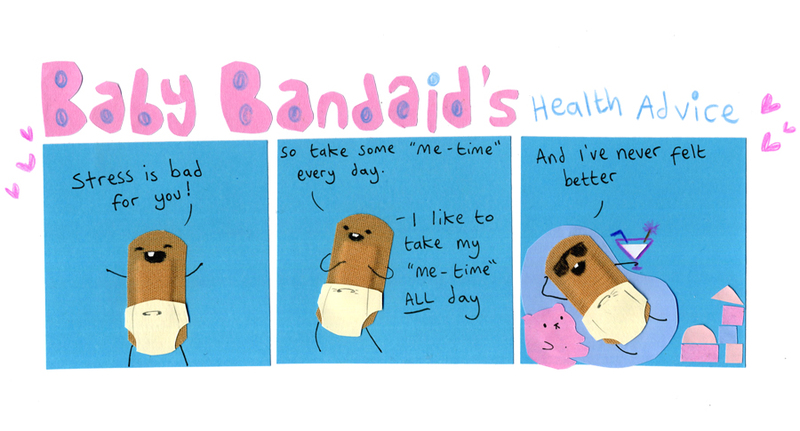 Is Baby Bandaid a baby version of Doctor Bandaid, or is it Doctor Bandaid’s baby? I won’t reveal it here!! The milk in the martini glass…! I just… you… THIS is what my life was missing. Yeah, that’s about my reaction. Very very nice to have you back on My Carboard Life, Philippa!! Ha, I just had my first baby two weeks ago so this comic is right on time. Glad to see updates again!